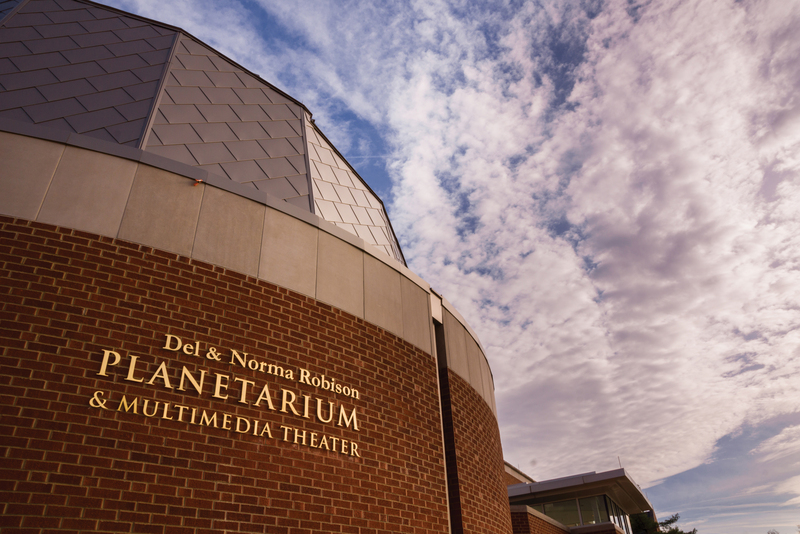 Through a partnership of University resources and private contributions, the Del and Norma Robison Planetarium and Multimedia Theater at Truman was unveiled to the public during a ribbon-cutting ceremony at Homecoming. Located in Magruder Hall, the Planetarium enhances Truman’s educational mission as a liberal arts and sciences institution and strengthens the regional recruitment of students by bring ing them on campus for presentations and performances. 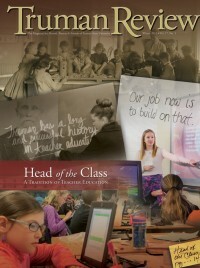 The facility is an academic resource to support Truman courses in the sciences and fine arts, a community resource for regularly scheduled shows for the general public and an academic outreach by providing programming for local K-12 and homeschool populations. Del and Norma Robison of Kirksville have made a gift to help complete the project. The Robisons are 1957 graduates of the University and enjoyed long and distinguished teaching careers, including service to Novinger, Moberly and St. Louis area schools. While residents of Chesterfield, Mo., and teaching in the Pattonville School District, Del was actively involved in securing a grant to equip the district with a planetarium and observatory, becoming one of the few school districts to have such a facility. 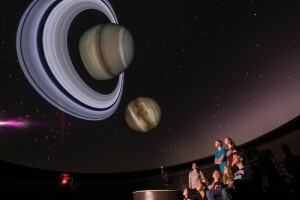 The 60-seat, 1,800-square-foot Planetarium and Multimedia Theater project started in 2005 with the expansion and renovation of Magruder Hall. With the help of private donations from alumni, parents and friends of the University, the Planetarium is now the only such facility in nearly a 100-mile radius of Kirksville.